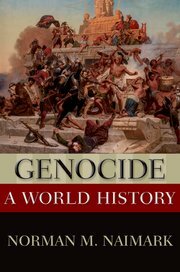 An engagingly written and comprehensive synthesis of genocide from the beginning of human history to the present. Includes episodes of genocide that target social and political groups, such as communist and anti-communist groups Contributes to contemporary discussions about history and memory in relation to the Armenian genocide, the Holocaust, and the Rwandan genocide. This publication is available for purchase from the Oxford University Press.